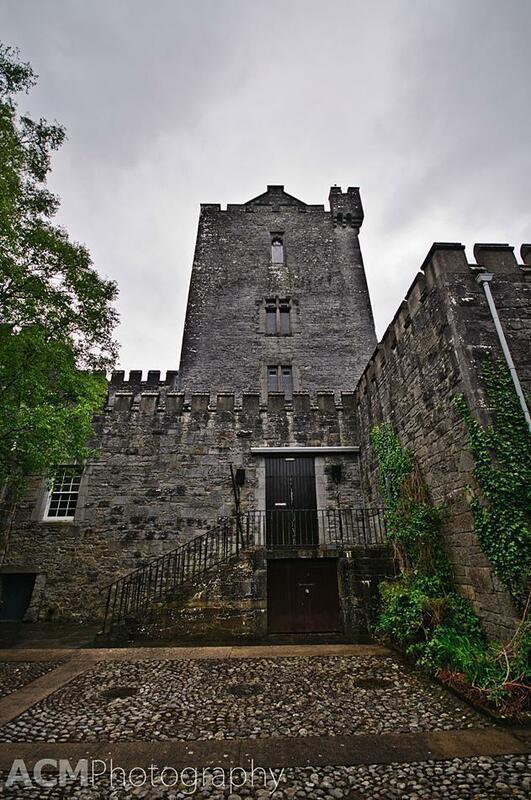 Dark and Foreboding, Knappogue Castle tower looms over the countryside. Alison and I recently returned from a week-long road-trip of Western Ireland. One of the highlights was visiting the castles and heritage properties of the Shannon region. While there, we visited no less than seven castles, abbeys, and tower houses. Even so, we barely scratched the surface, as there were hundreds of tower houses built during Norman rule, in the 12th century, and beyond. We decided to concentrate on properties maintained by Shannon Heritage. Each one had something special to engage the visitor and bring Ireland’s ancient history to life. Studying history in school often requires boring memorization of dates and names. Luckily, I was inspired, early on, by a public school teacher who showed my class slides of his travels in Italy, Greece, and more. His personal descriptions of the places and their history made it more real to us as students. Twenty-five years later, having had the opportunity to travel, I understand his passion for history. When you visit historical locations in person, the story becomes much more engaging. If done right, such a visit should make you feel like you have stepped back in history. This is exactly what we found at the Shannon Heritage castles. When I was in university, I had a poster on my wall of a beautiful castle. It was built of pale grey stone and had turrets and arched windows. It was perched on the edge of a lake and was surrounded by forest. I didn’t know what it was called or where it was located but, for my young self, it represented all that was wild and romantic about travel. I longed to visit it someday. 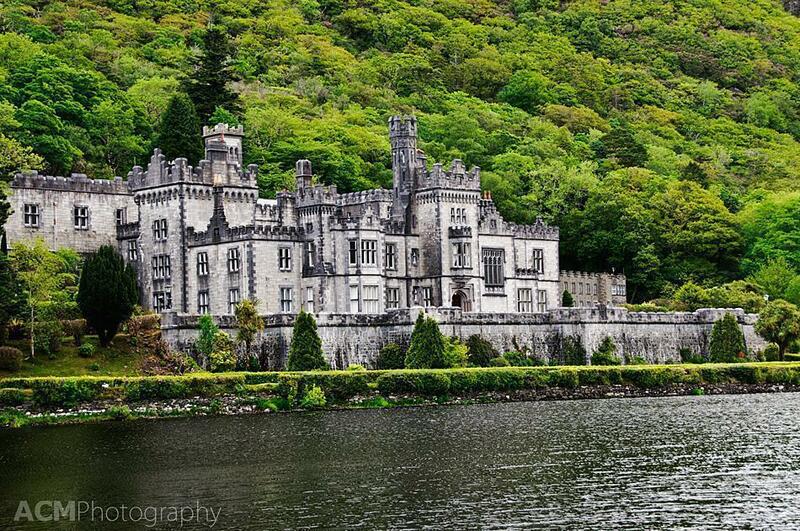 It wasn’t until many years later, I learned my dream castle was actually Kylemore Abbey, located in the stunning mountains of Connemara, Ireland. At that time, it wasn’t open to the public and I believed I would never get to see my poster castle in person. Visiting historical sites is a great way of gaining an appreciation for events and places. In my previous post about the Castles of Shannon Heritage, I wanted to show history doesn’t have to be boring. I’d love to travel back in time, but sadly the time machine hasn’t been invented. 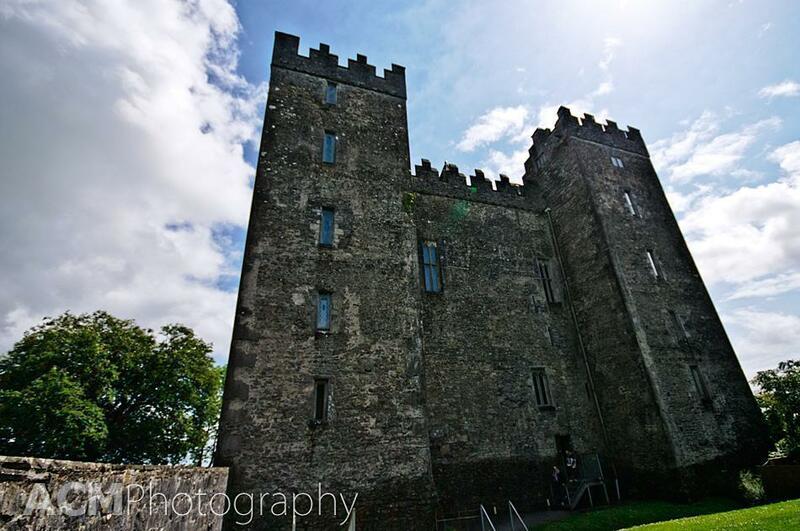 However, there is Bunratty Castle and Folk Park, which does more than just present the history, it immerses you in it. As a photographer, I am always looking for destinations rich in natural beauty. While I love architecture and other man-made tourist sites, there is something particularly special about naturally occurring landmarks. 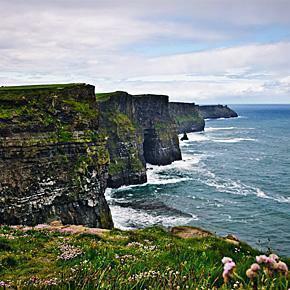 One such place is the Cliffs of Moher, on Ireland’s west coast. While castles are a pretty common sight across the continent, many of us non-Europeans still dream of staying in one. 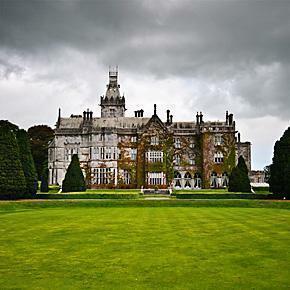 Adare Manor, in county Limerick, Ireland, is the perfect place to play out your Lord and Lady of the Manor fantasies.